Dr. Francisco Contreras serves as director, president and chairman of the Oasis of Hope Hospital. A distinguished oncologist and surgeon, Contreras is renowned for combining conventional and alternative medical treatments with emotional and spiritual support to provide patients with the most positive treatment experience possible. Oasis of Hope was founded by Contreras’ father, Dr. Ernesto Contreras, Sr. in 1963, and since then the hospital has provided integrative cancer treatment for more than 100,000 patients. As director, Contreras continues the practice of his father’s two fundamental principles – do no harm and treat the patient as yourself. Today, Contreras oversees the treatment of 800 cancer patients annually. After graduating with honors from medical school at the Autonomous University of Mexico in Toluca, Contreras studied alternative therapy at the Oasis of Hope Hospital. He then completed his specialty in surgical oncology at the University of Vienna in Austria, where he also graduated with honors. 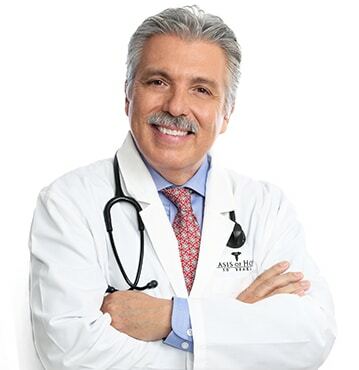 Contreras has authored and co-authored several books concerning integrative therapy, cancer and heart disease prevention and chronic illness, including “The Hope of Living Cancer Free,” “The Hope of Living Long and Well,” “Fighting Cancer 20 Different Ways” and “Dismantling Cancer.” His newest book with co-author Daniel E. Kennedy, “Hope, Medicine & Healing,” is scheduled for release in fall 2008. In addition to writing for numerous medical journals, Contreras has participated in medical conferences such as the World Conference on Breast Cancer and is active in the Cancer Control Society. He has been a part of governmental organizations, including the Georgia House of Representatives Health Policy Task Force and the Japanese Medical Association. He has also been on special assignment to Slovakia as a member of the Mexican Health Advisory Board. A qualified entry-level professional motorcycle racer, Contreras says that racing is similar to performing surgery in that it requires 100 percent focus. Contreras and his wife, Rosa, have four daughters and one son. The family attends church in Bonita, Calif., and enjoys skiing and travel.